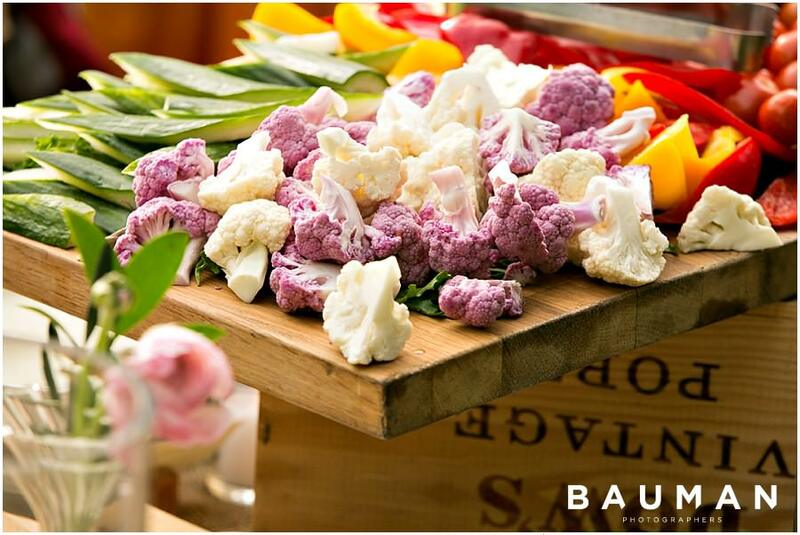 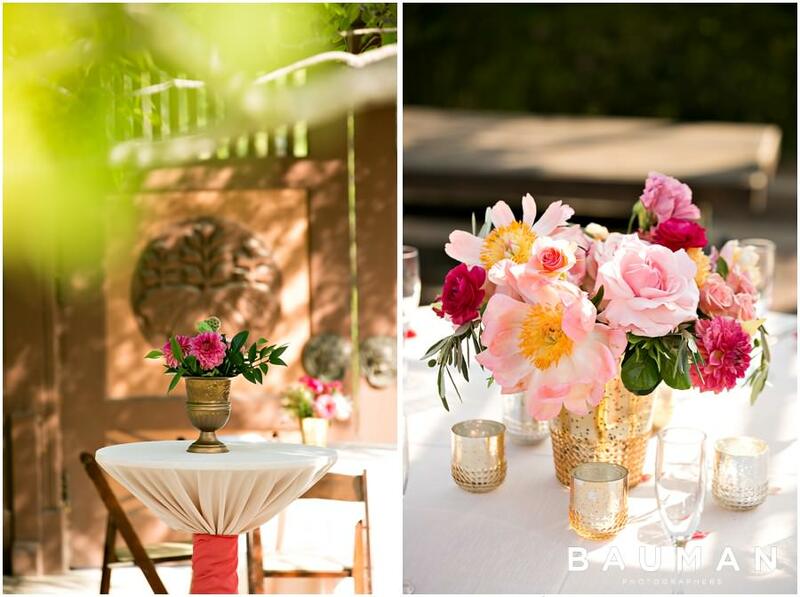 Are you ready for some amazing COLOR? 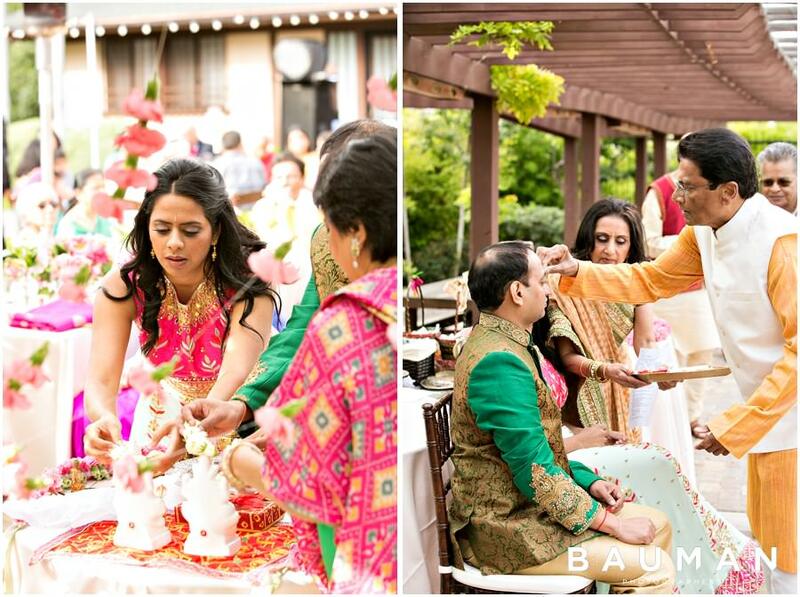 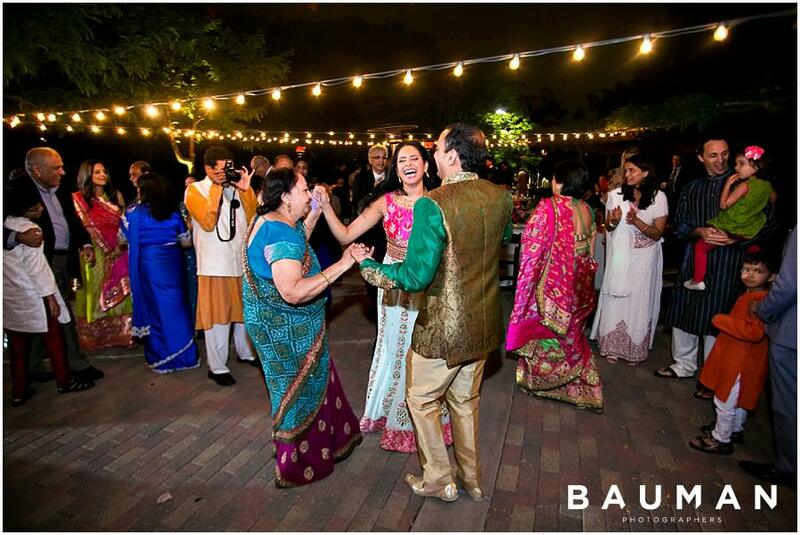 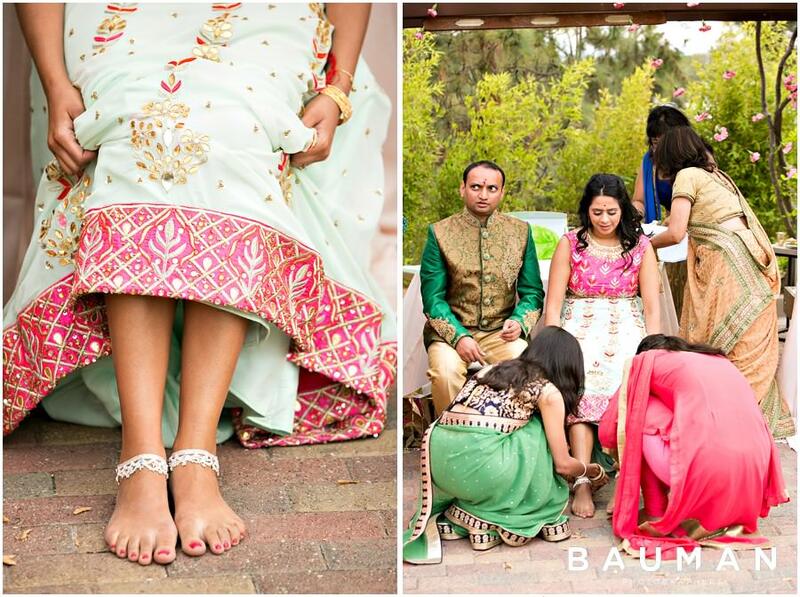 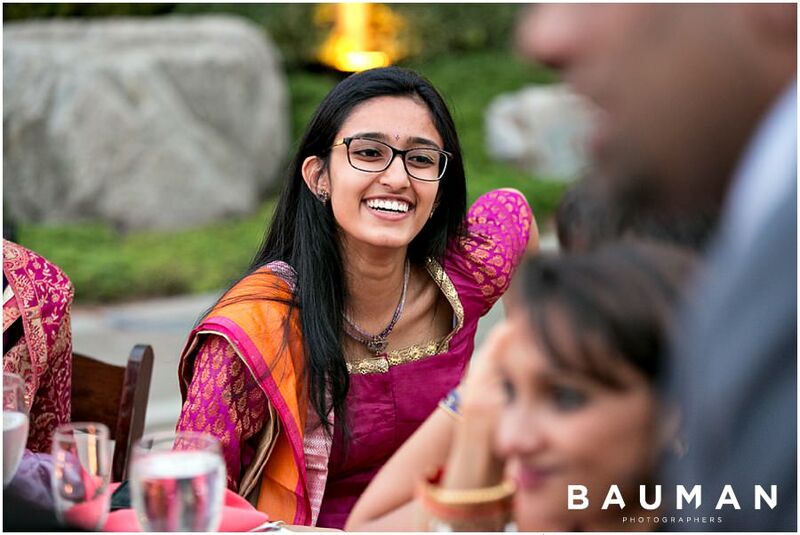 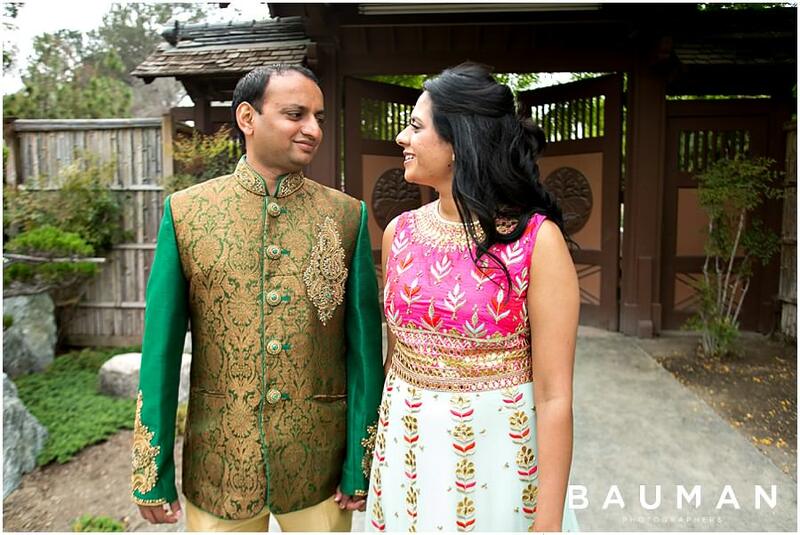 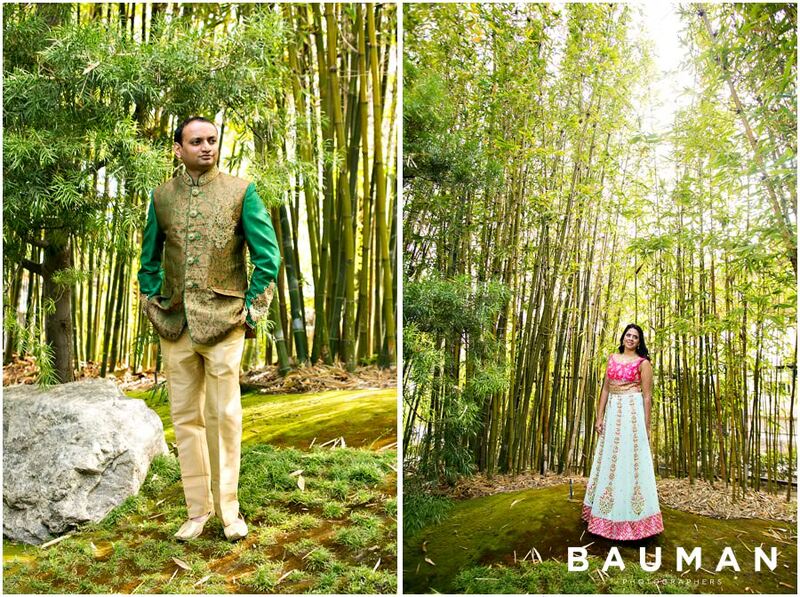 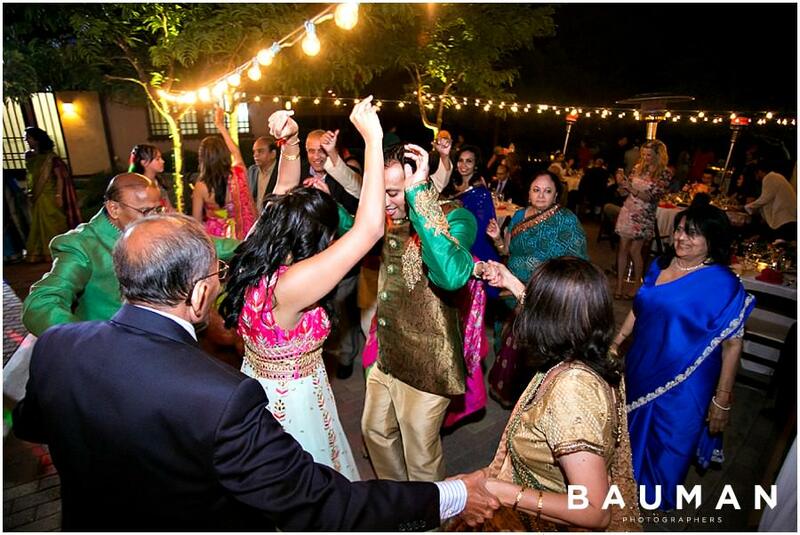 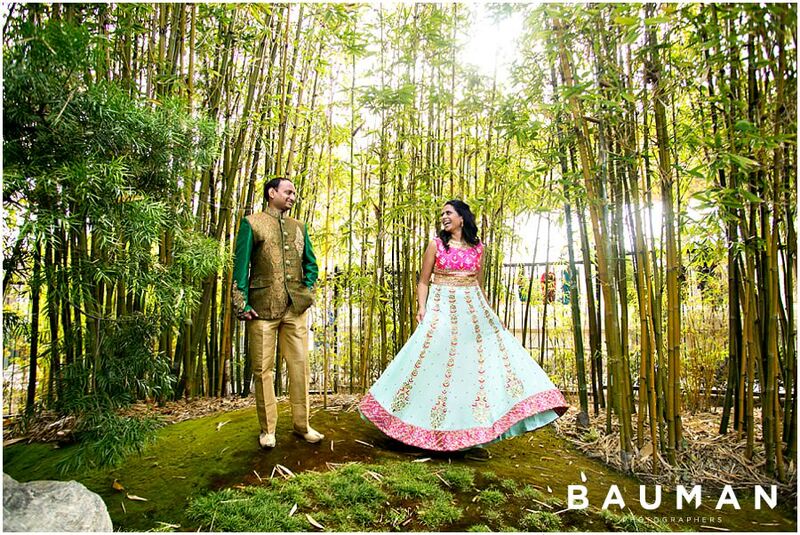 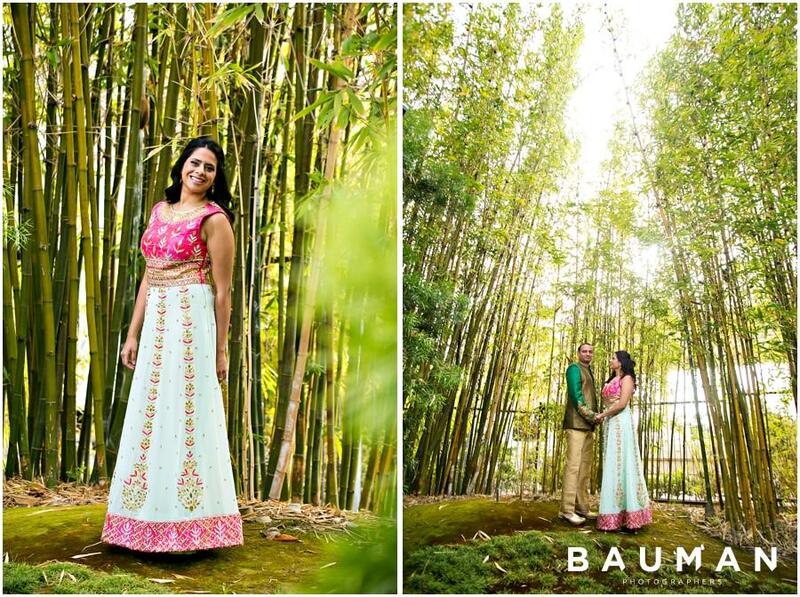 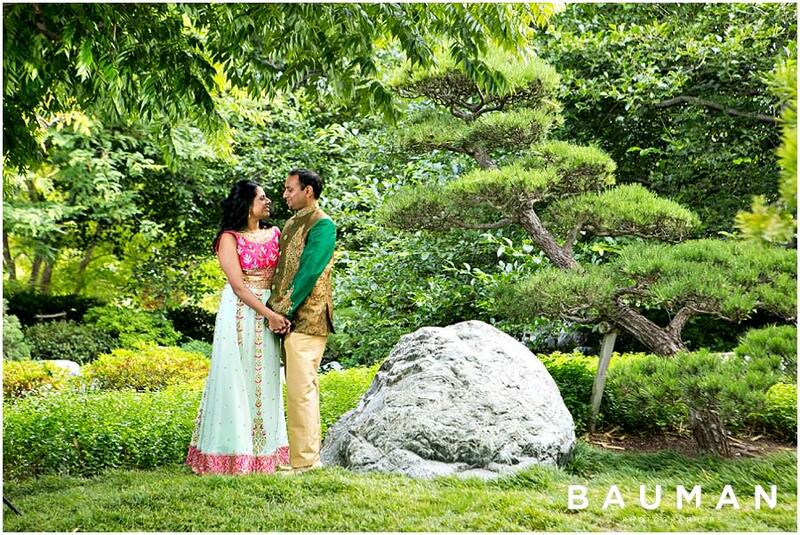 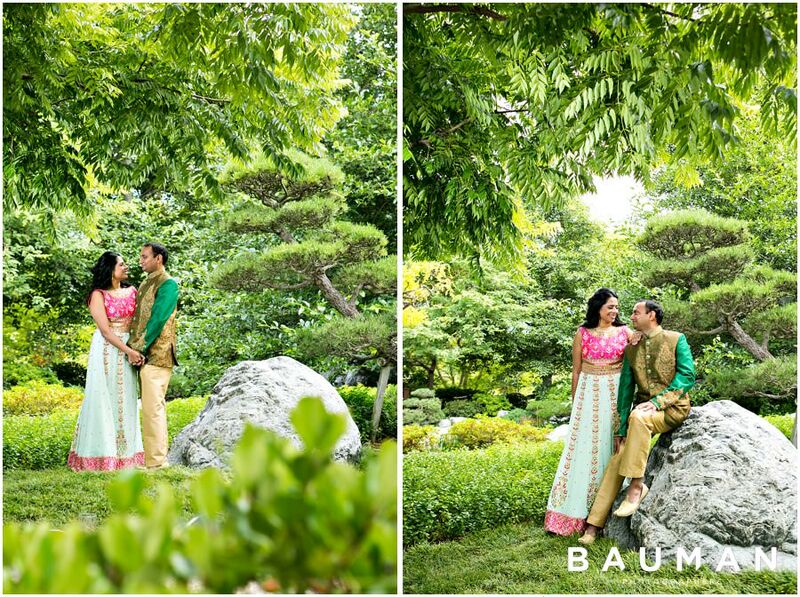 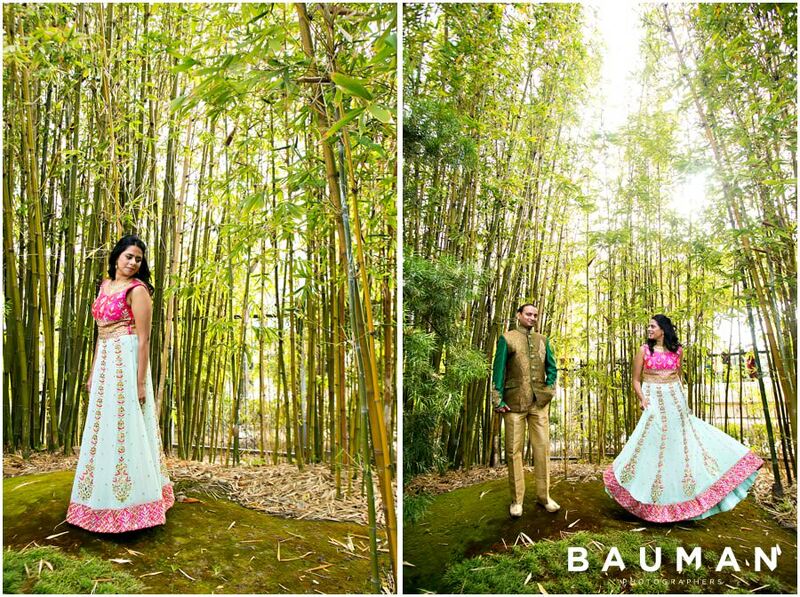 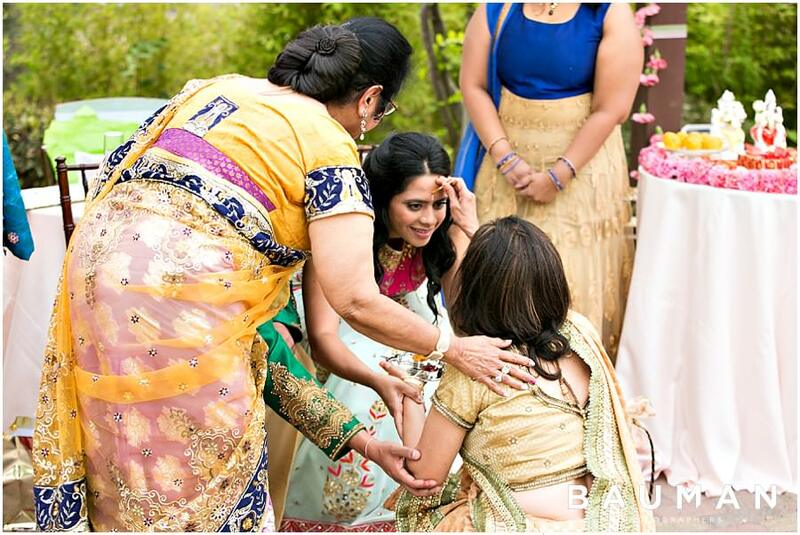 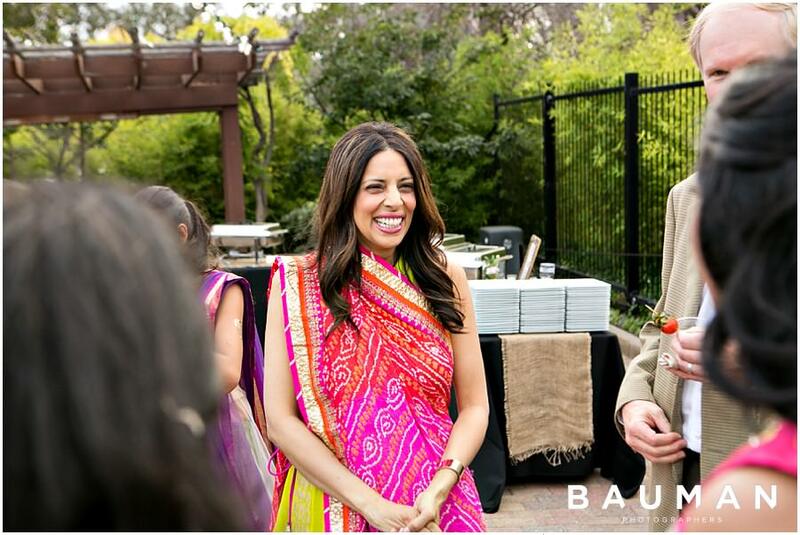 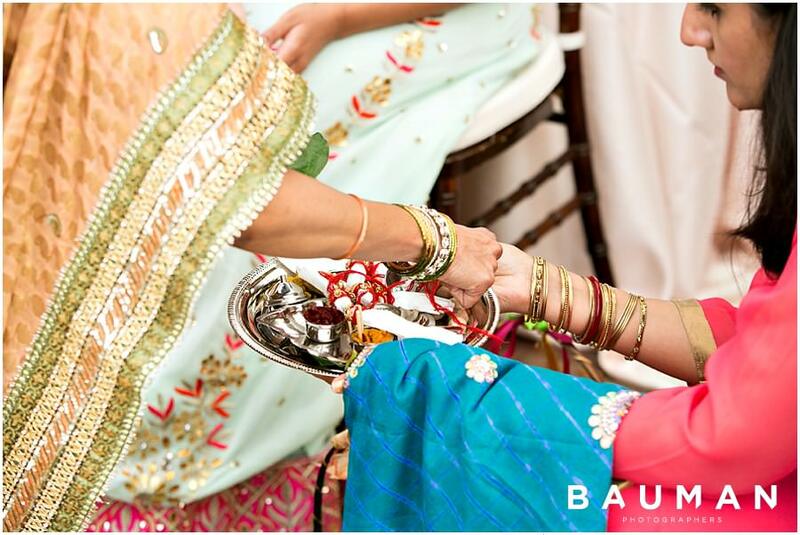 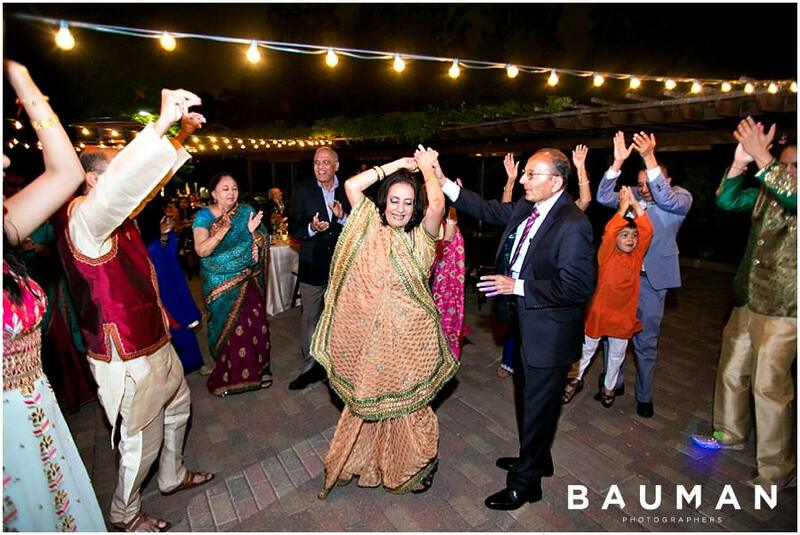 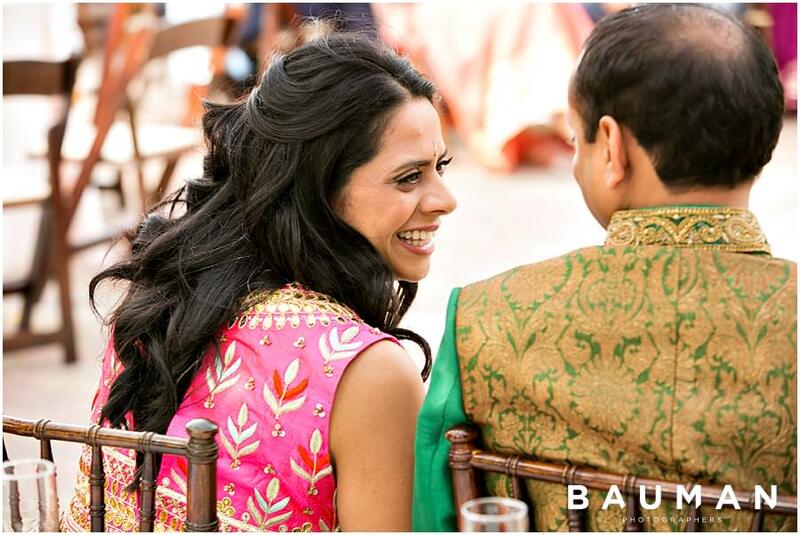 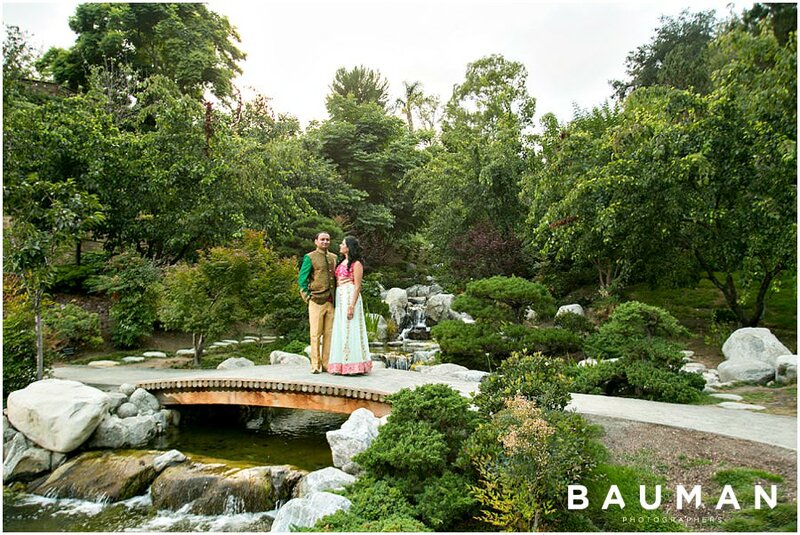 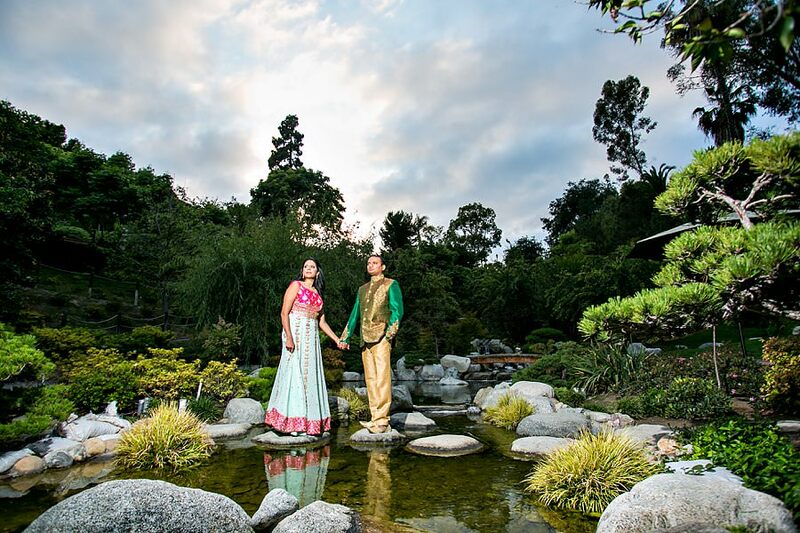 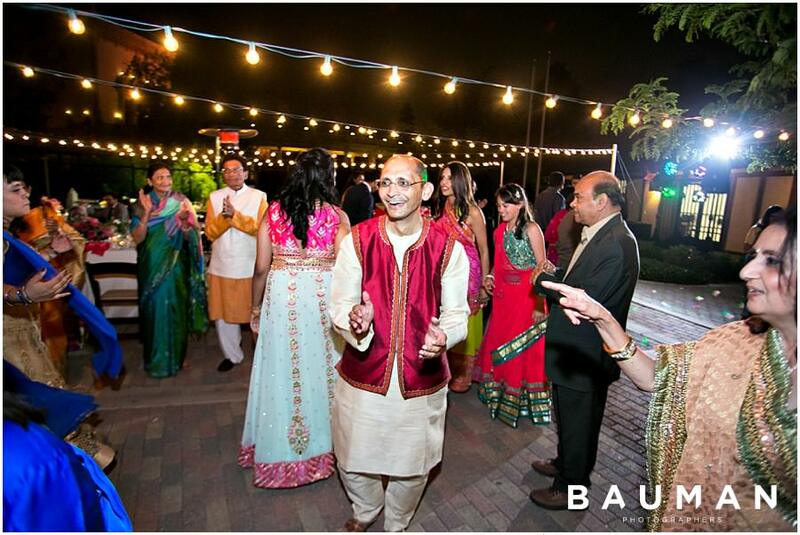 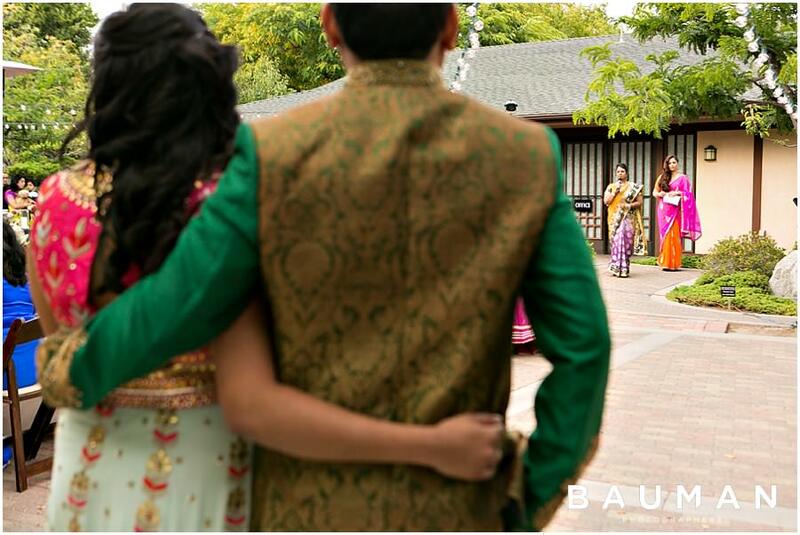 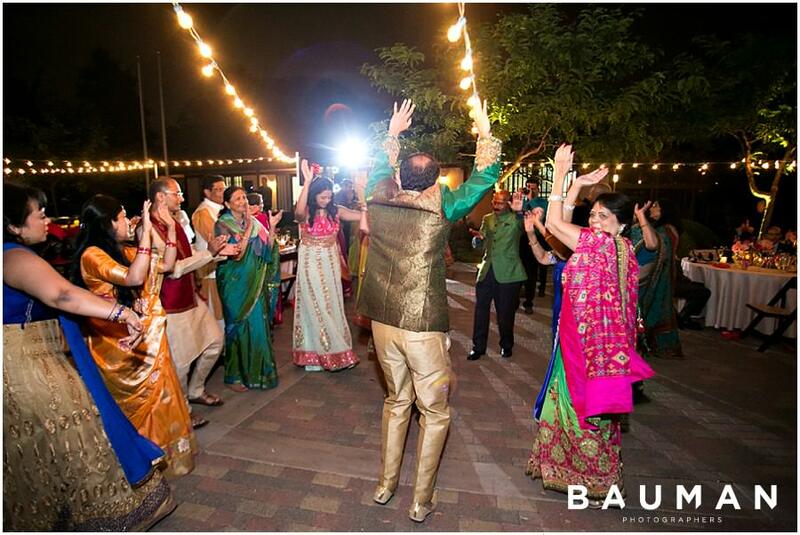 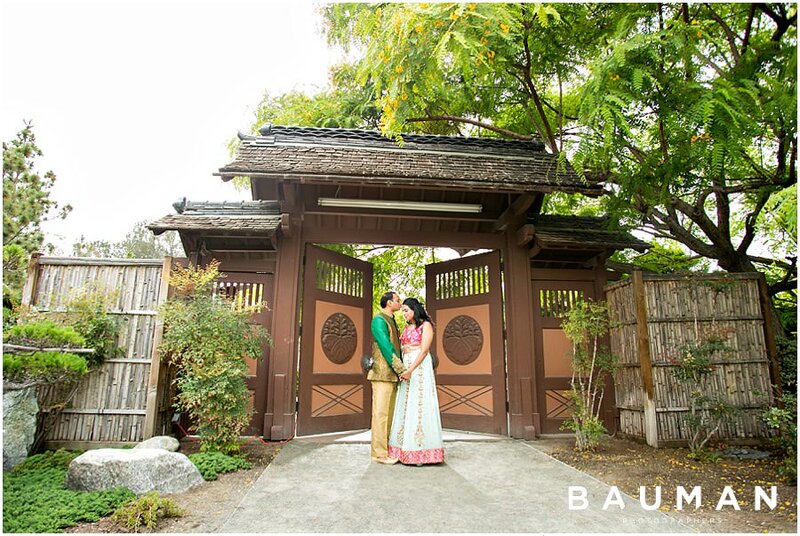 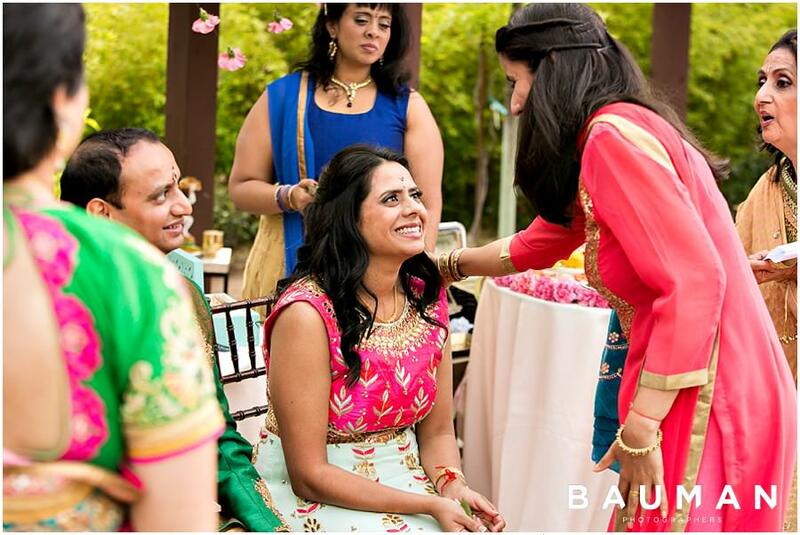 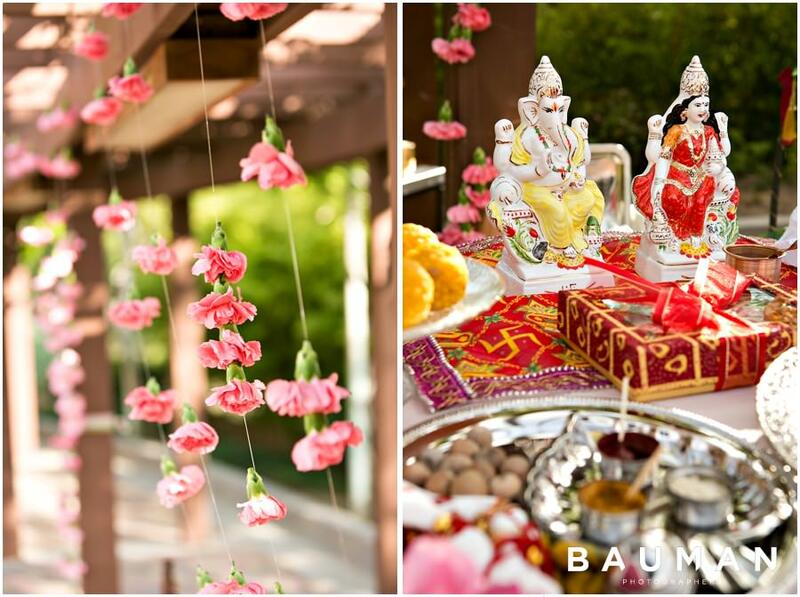 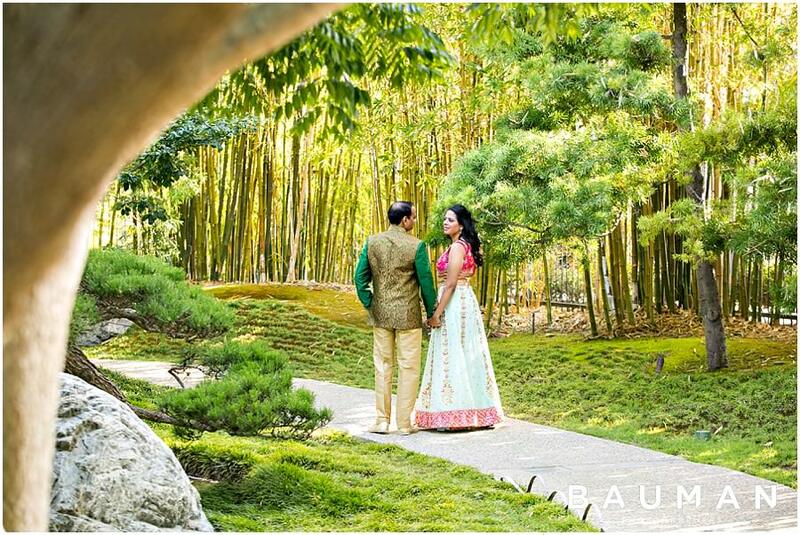 Pritha and Luve’s Indian Puja Engagement Ceremony was exploding with vibrant color, rich culture, and authentic joy! 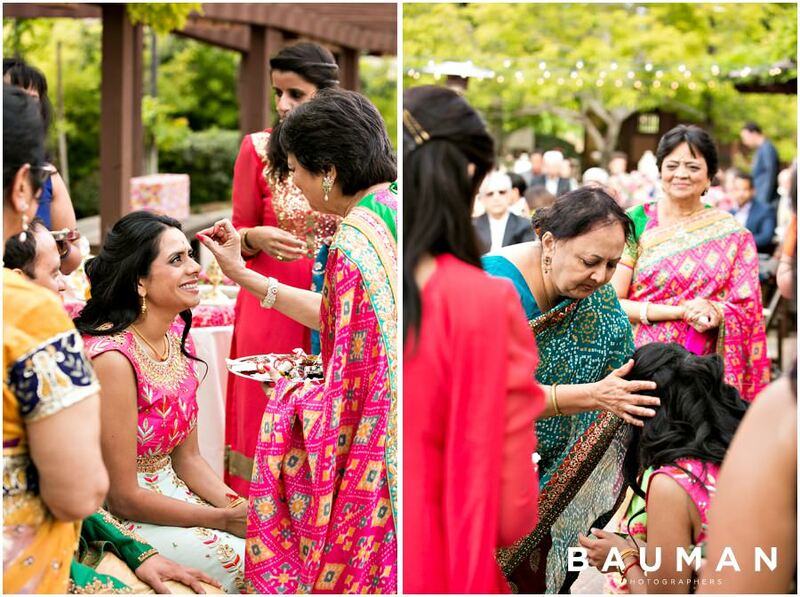 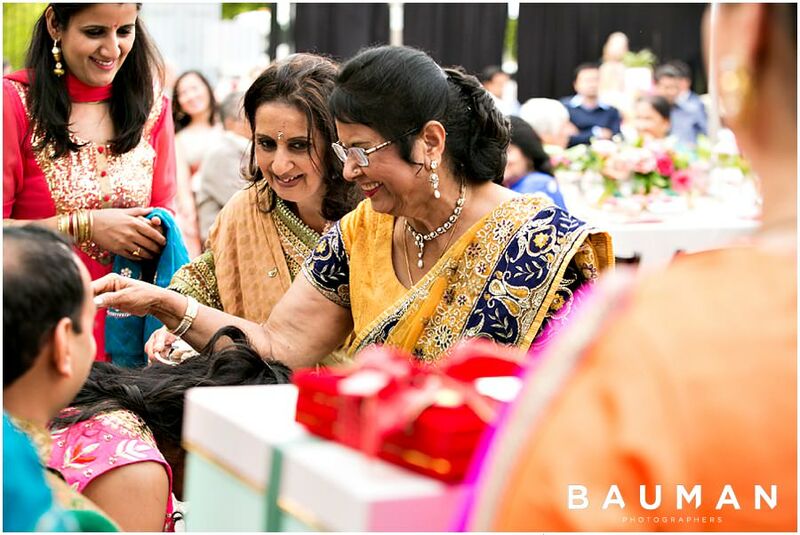 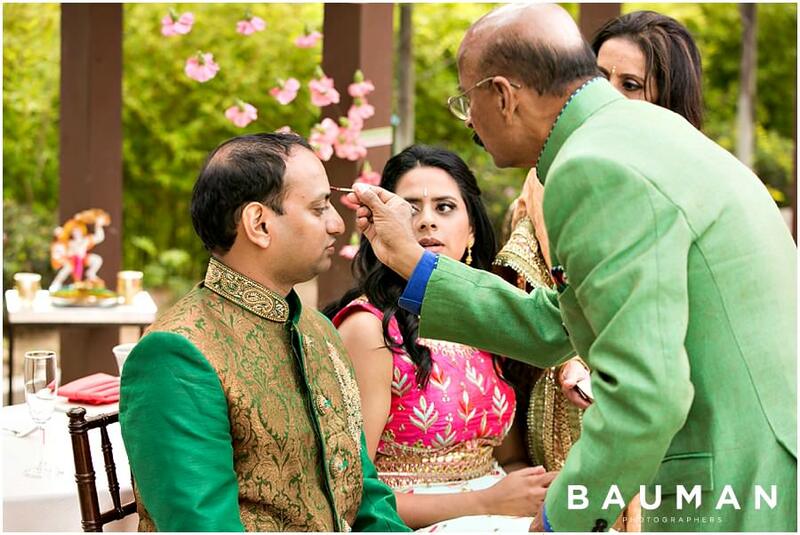 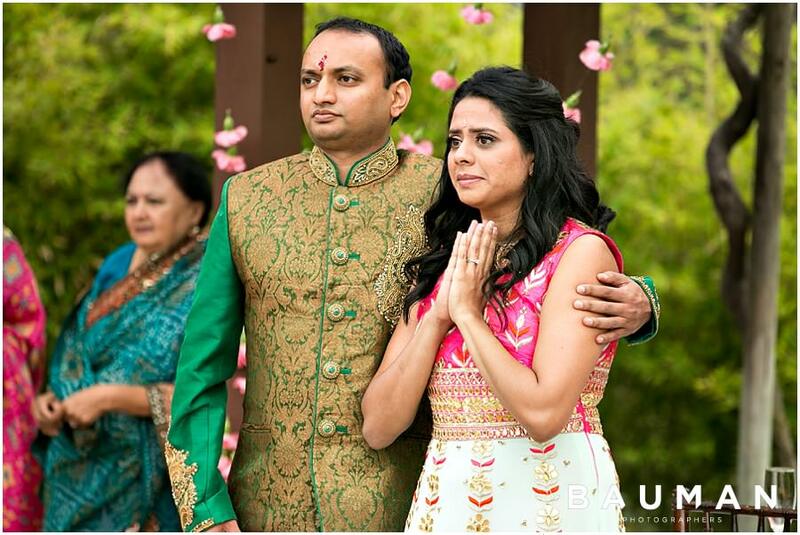 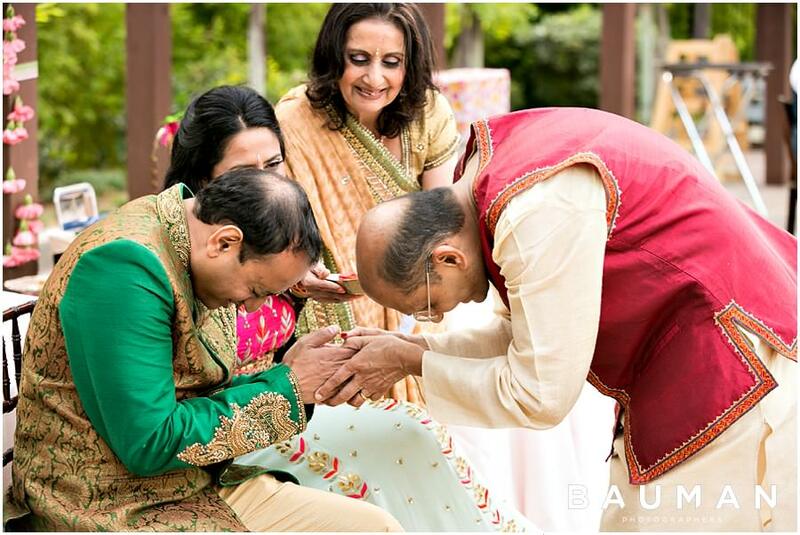 One of our favorite parts about photographing these beautiful cultural celebrations is capturing such an important moment in two families’ lives: Pritha and Luve publicly declaring their love and devotion to each other. 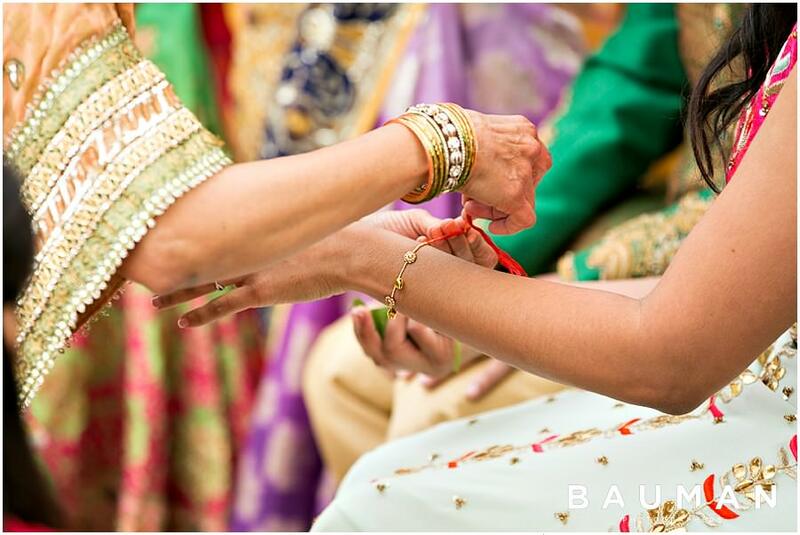 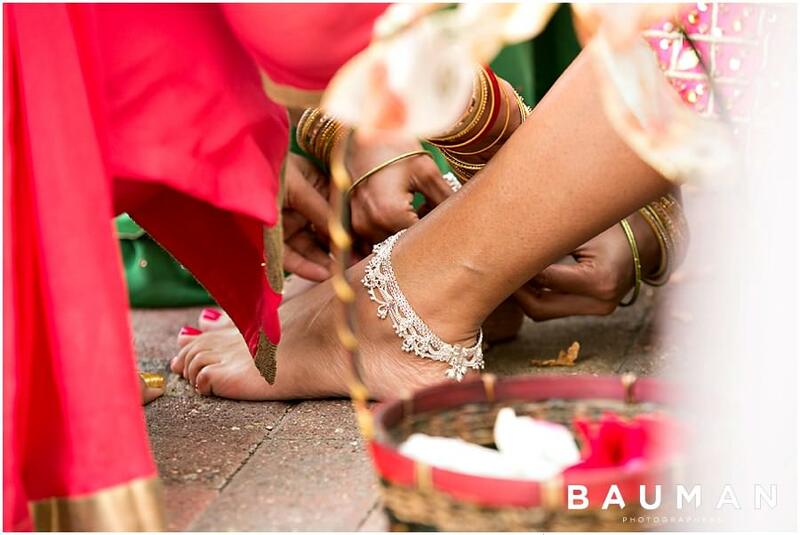 They offer prayers and blessings, and the couple is adorned with meaningful, traditional gifts that honor their commitment to each other. 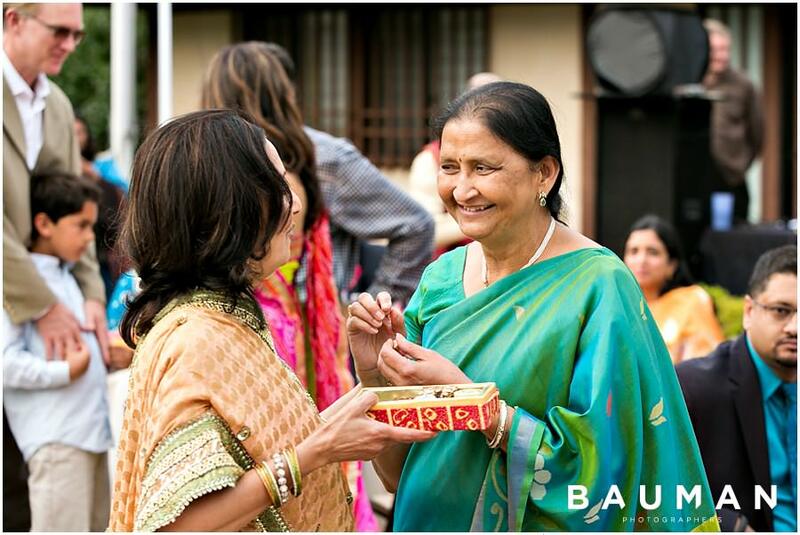 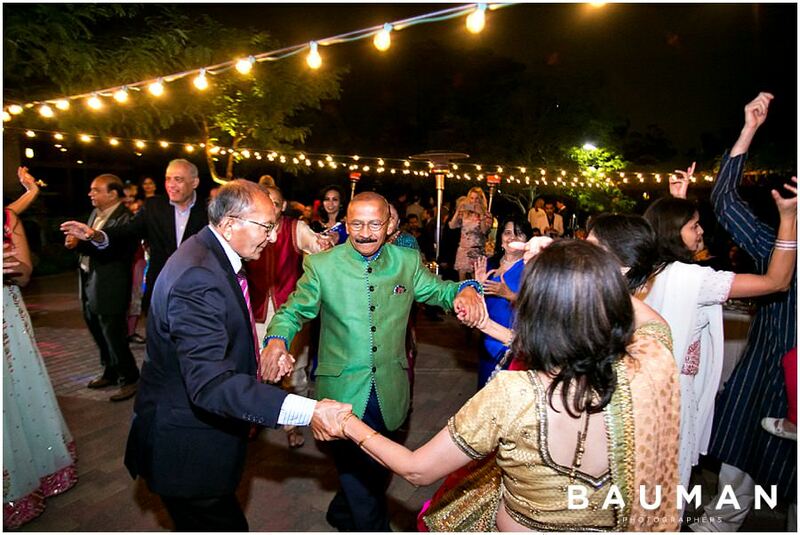 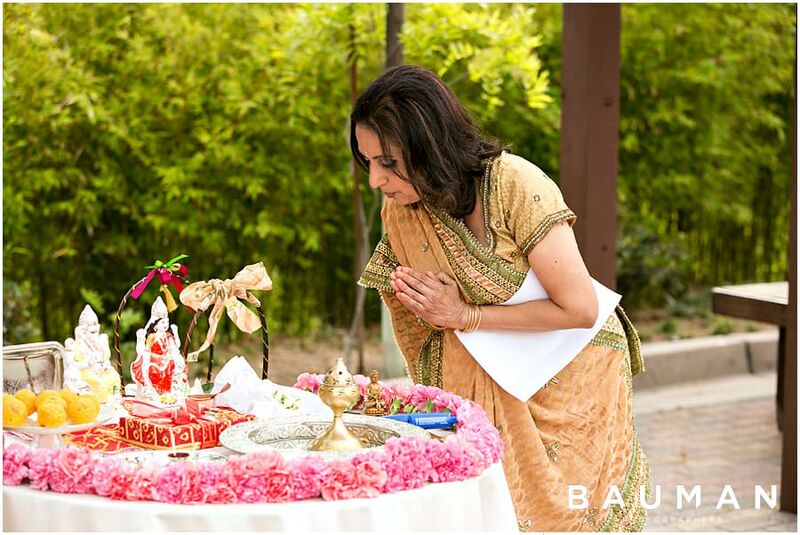 The parents also take a moment to offer each other symbols of respect – it is incredibly beautiful to witness! 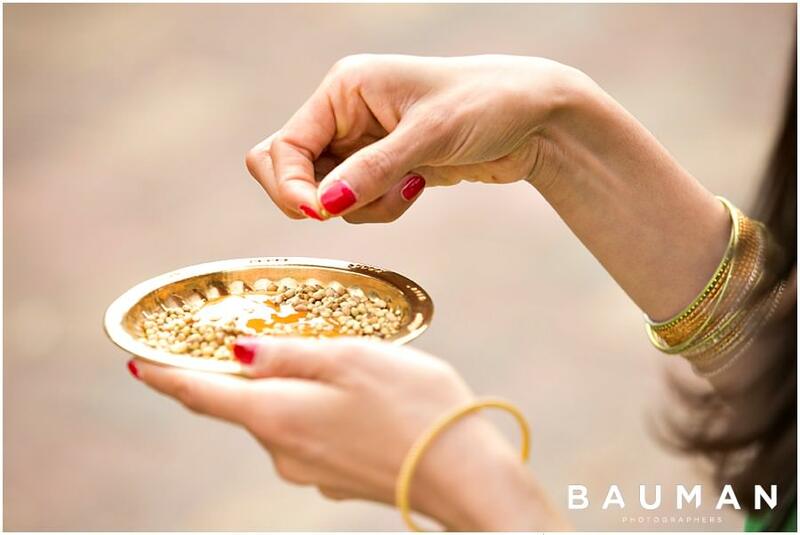 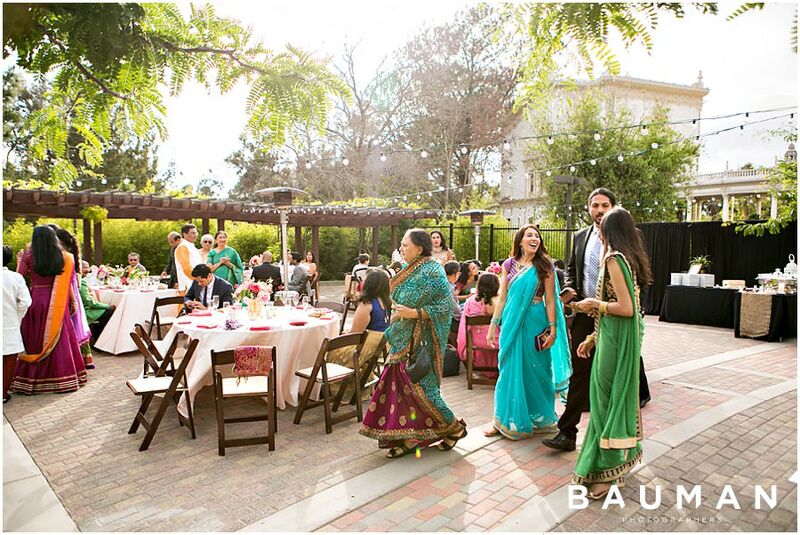 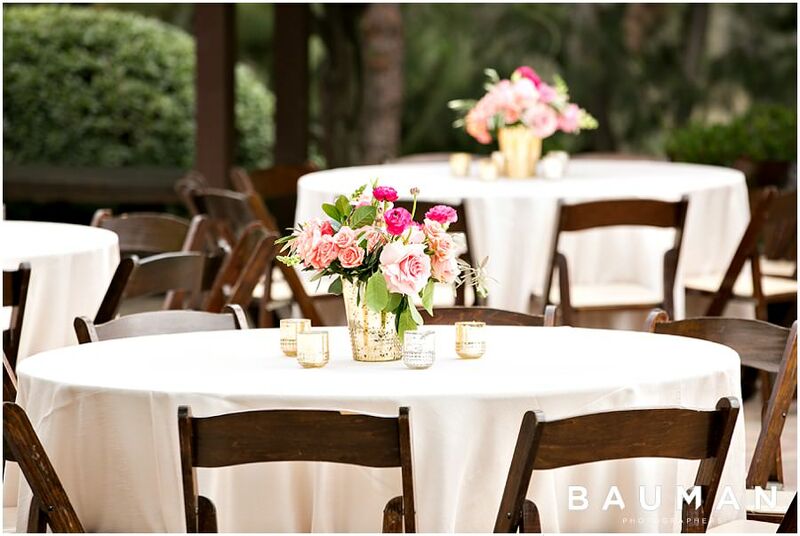 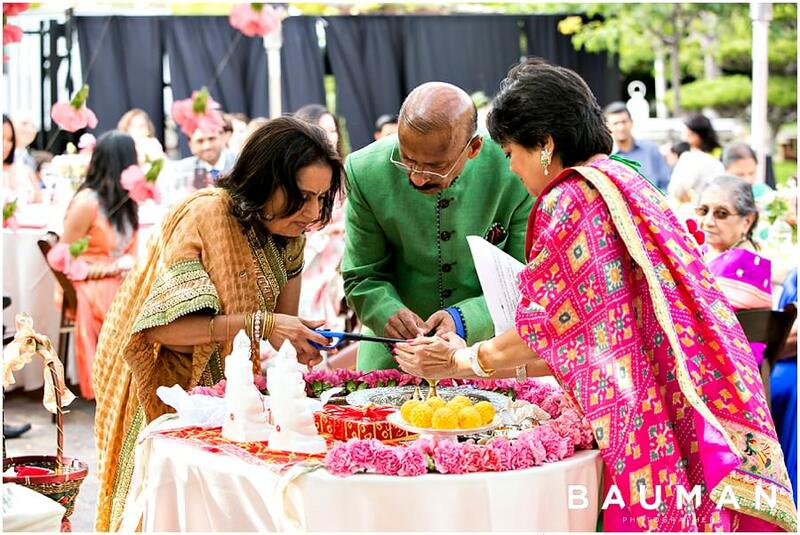 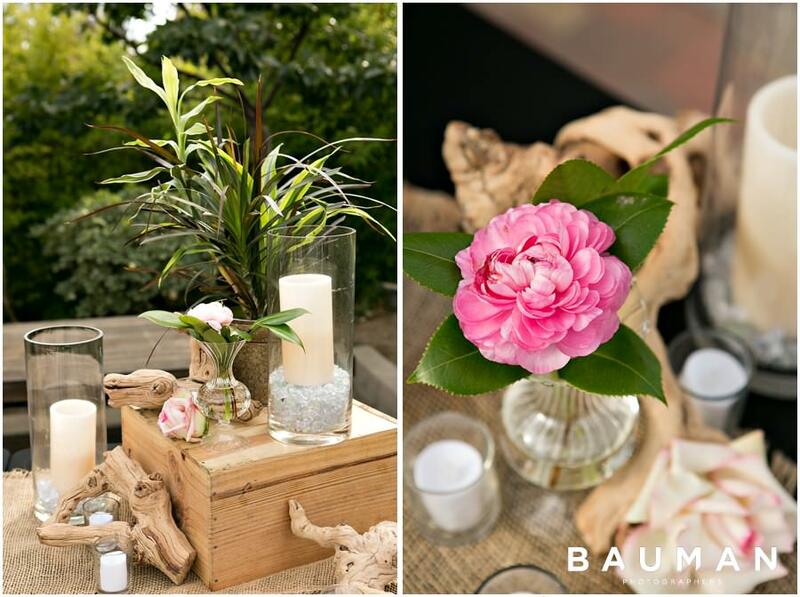 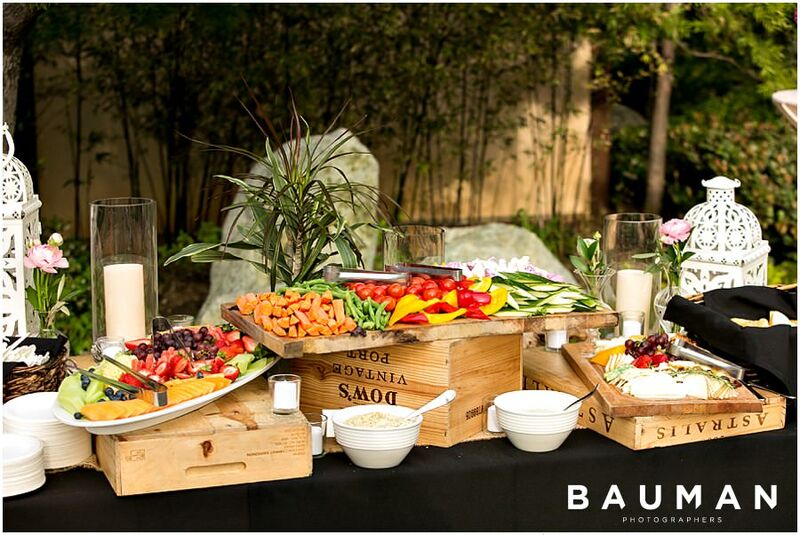 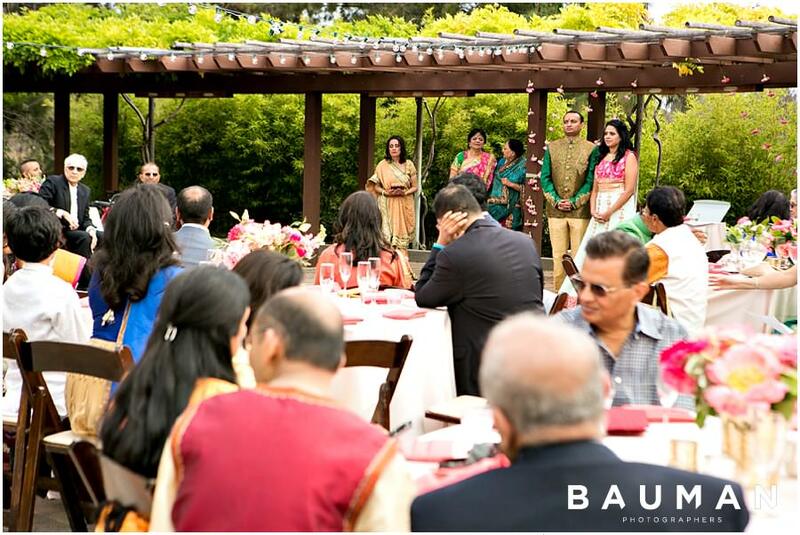 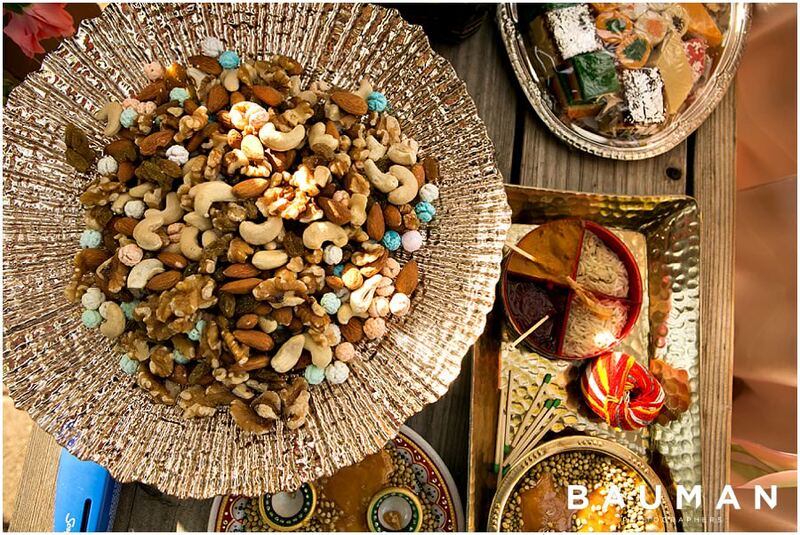 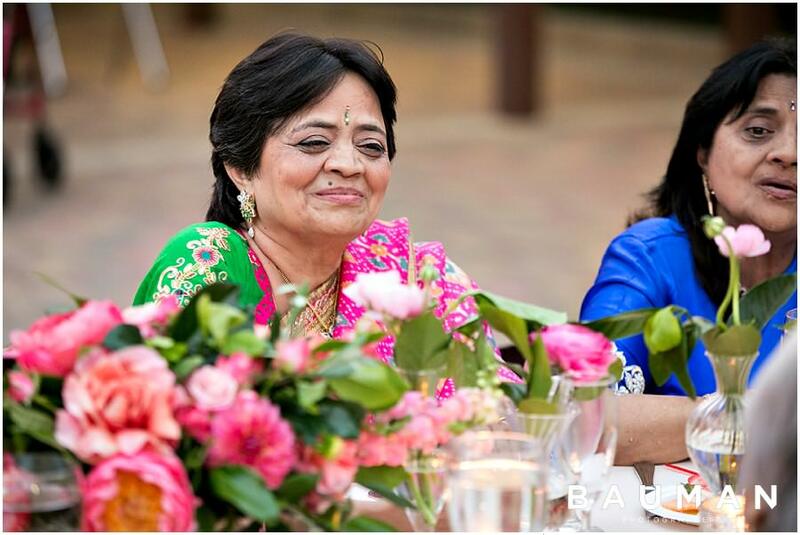 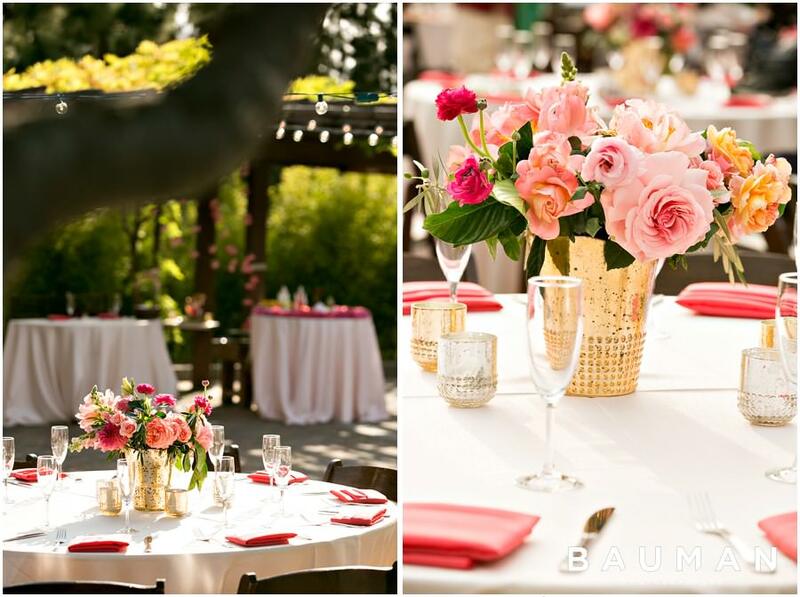 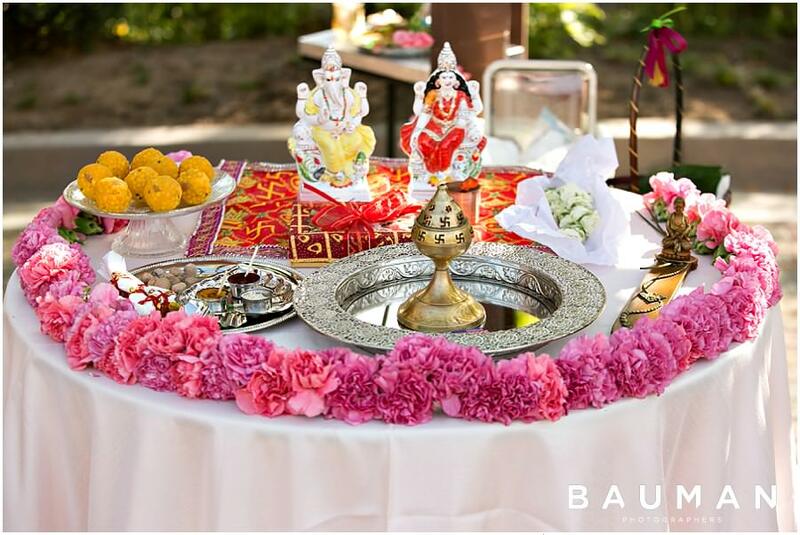 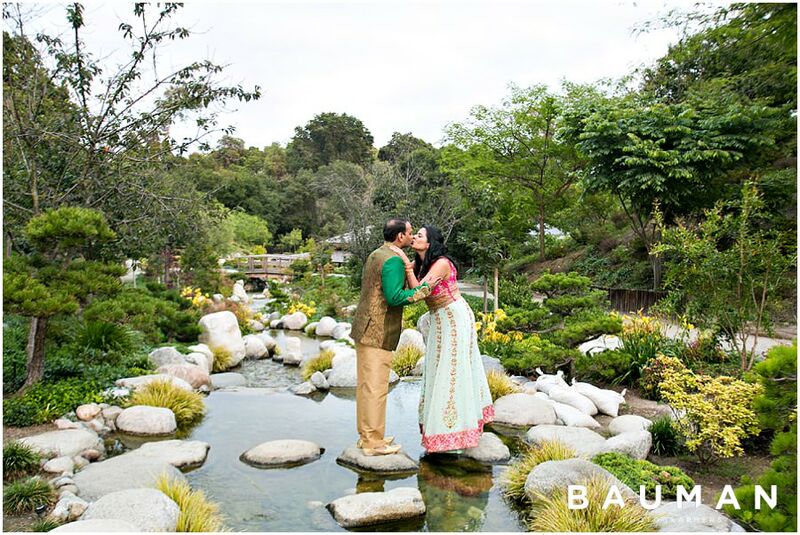 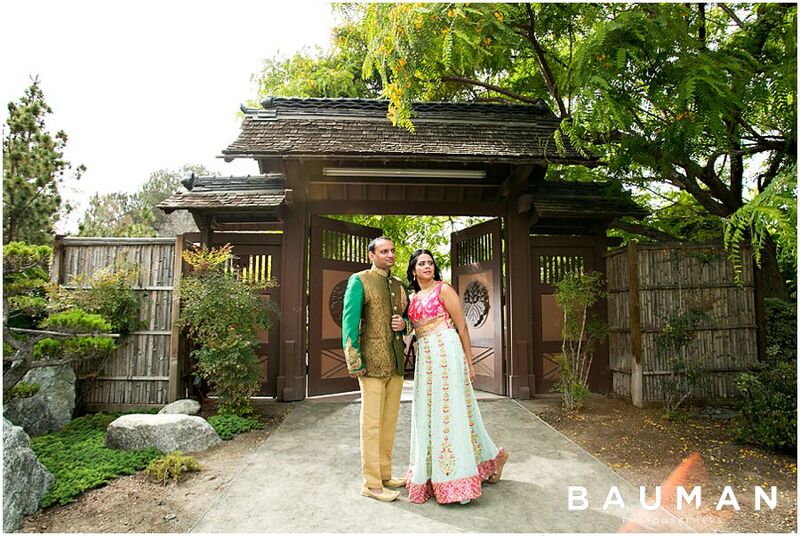 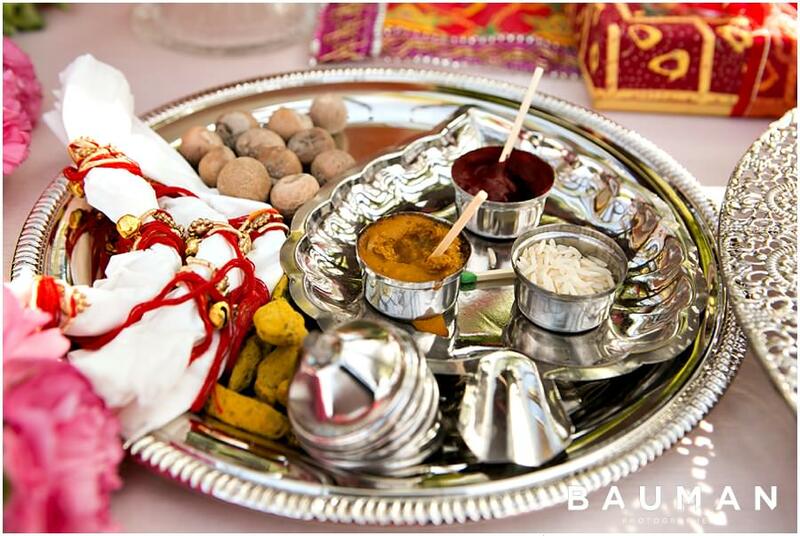 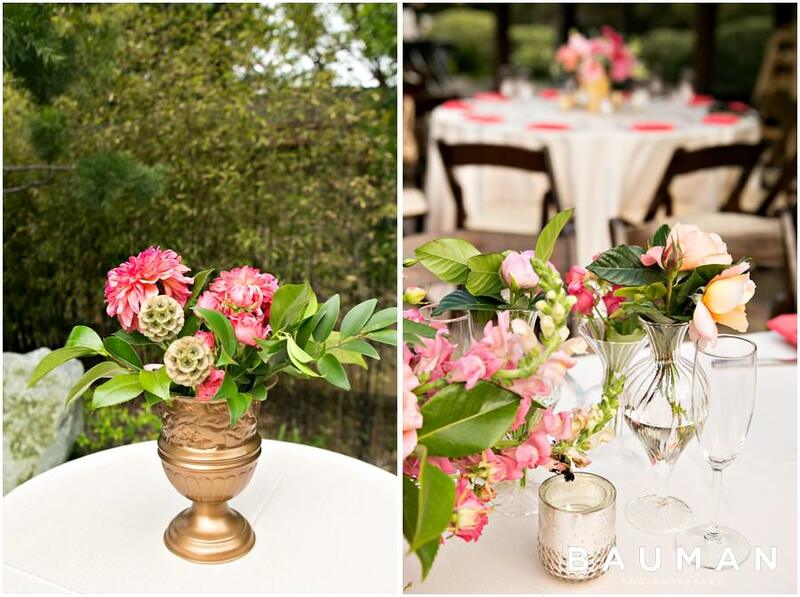 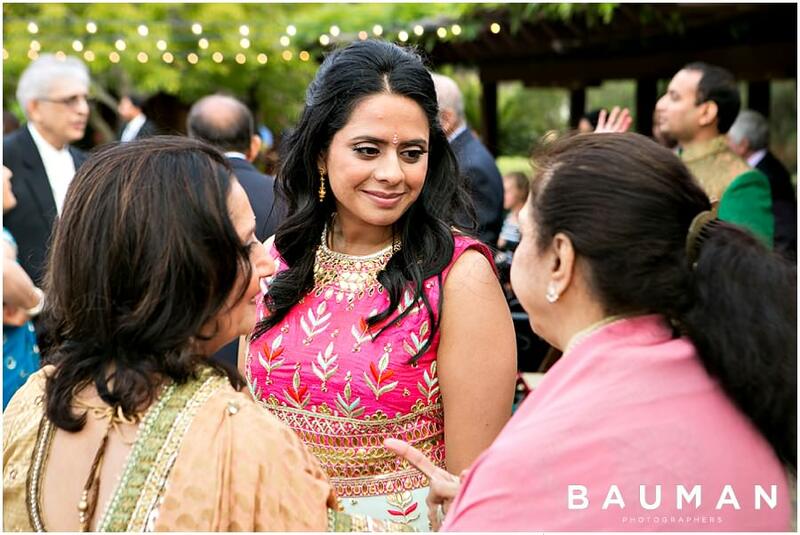 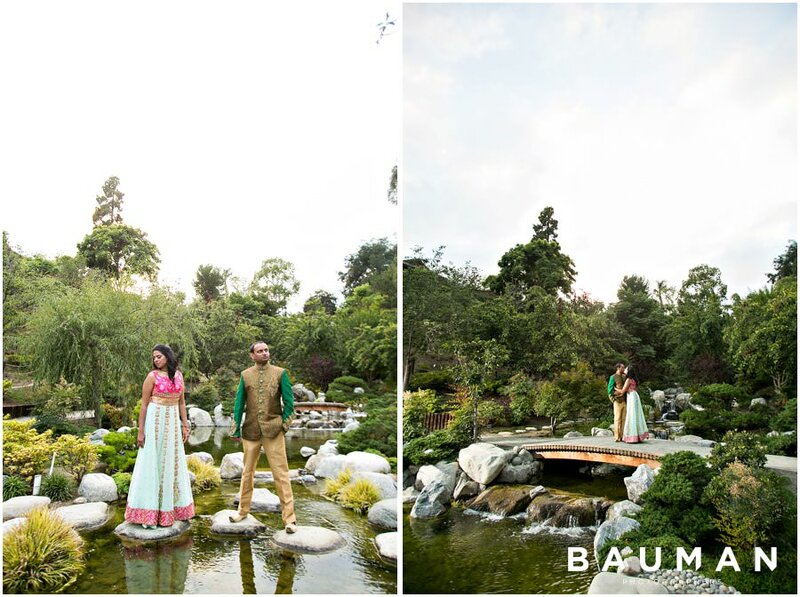 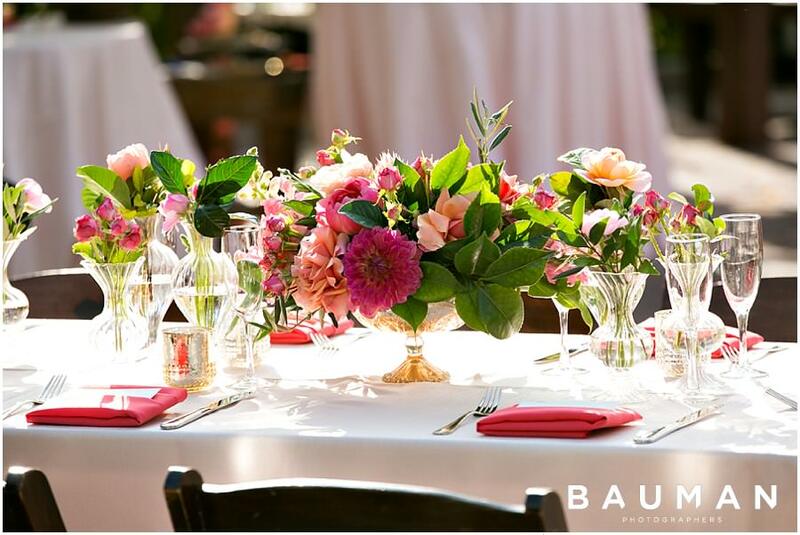 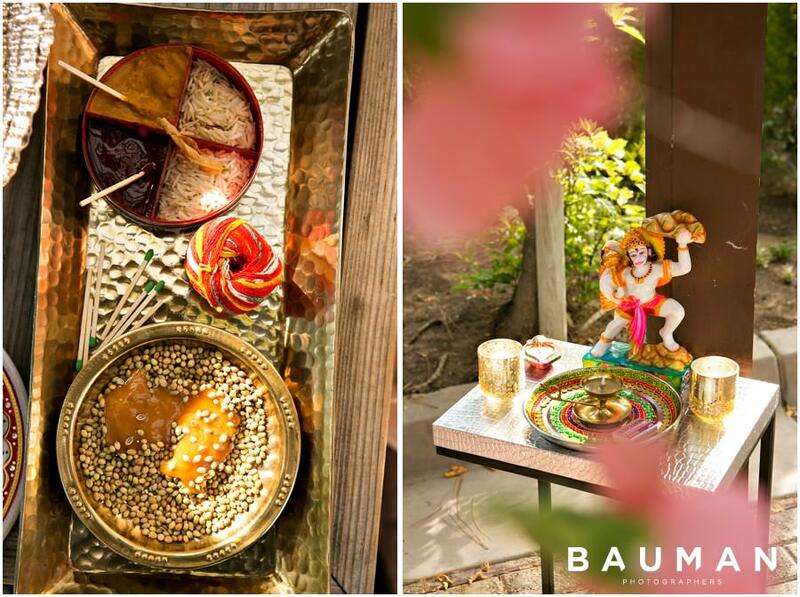 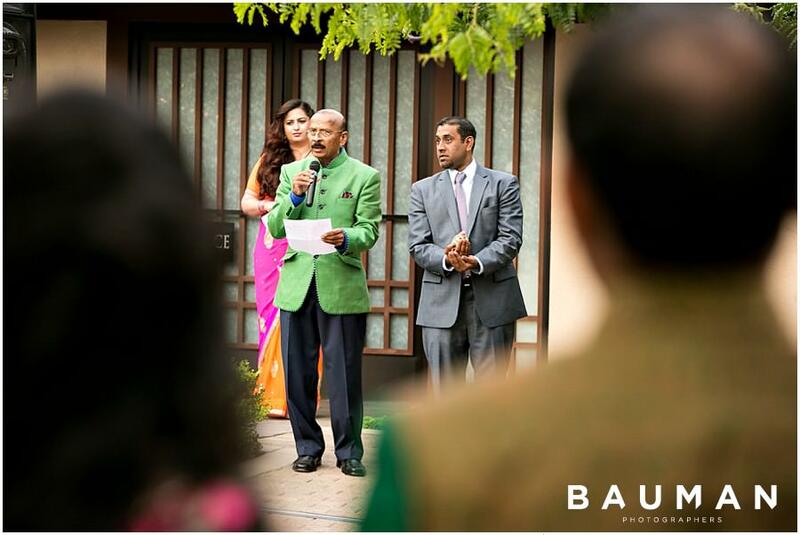 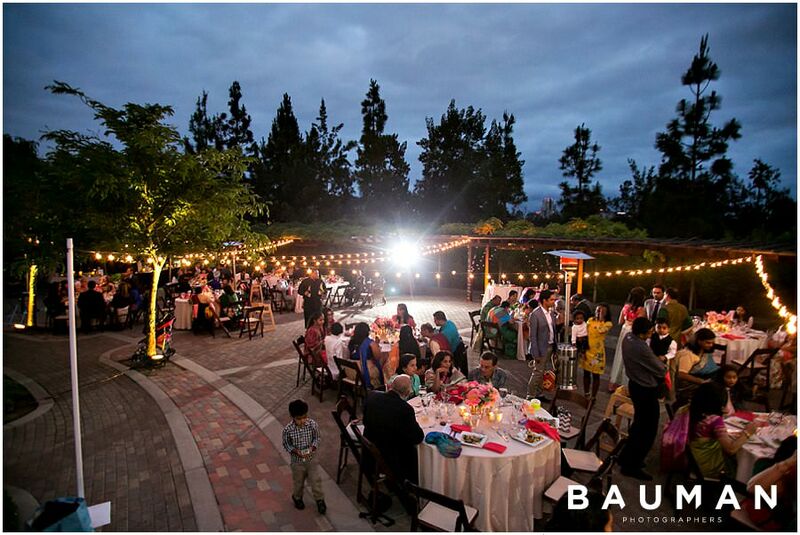 They gathered at the Japanese Friendship Gardens in Balboa Park, where the team at Wedding Elegance by Nahid had beautifully arranged the traditional aspects of the Puja table and the ceremony gifts. 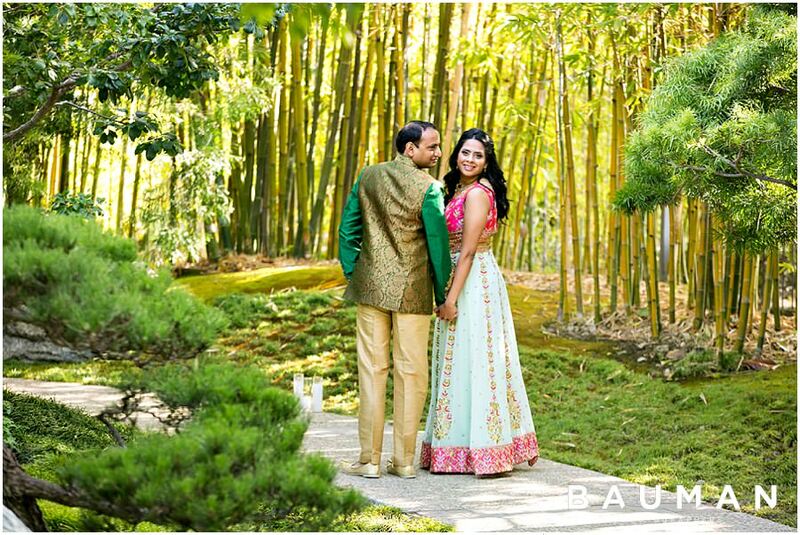 Blooms by Breesa Lee decked out the venue in bright, colorful florals, which perfectly matched Pritha’s gorgeous dress. 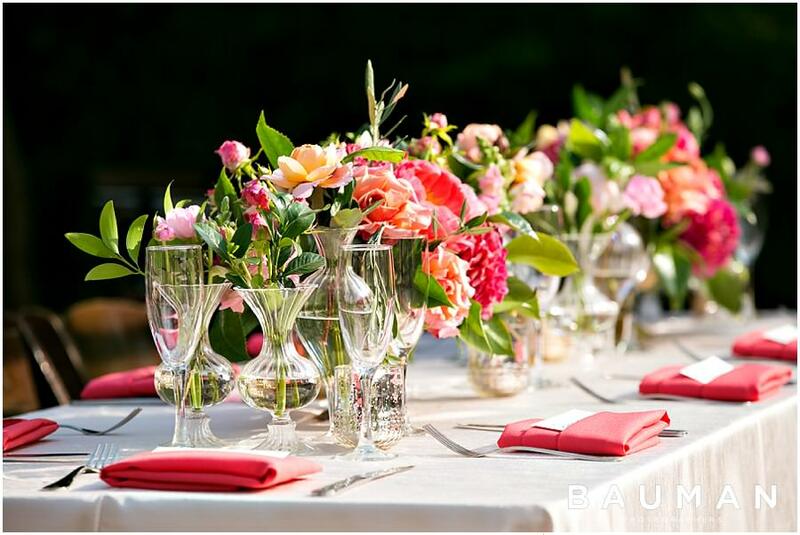 Be sure to check out their full list of all-star vendors at the bottom of the page! 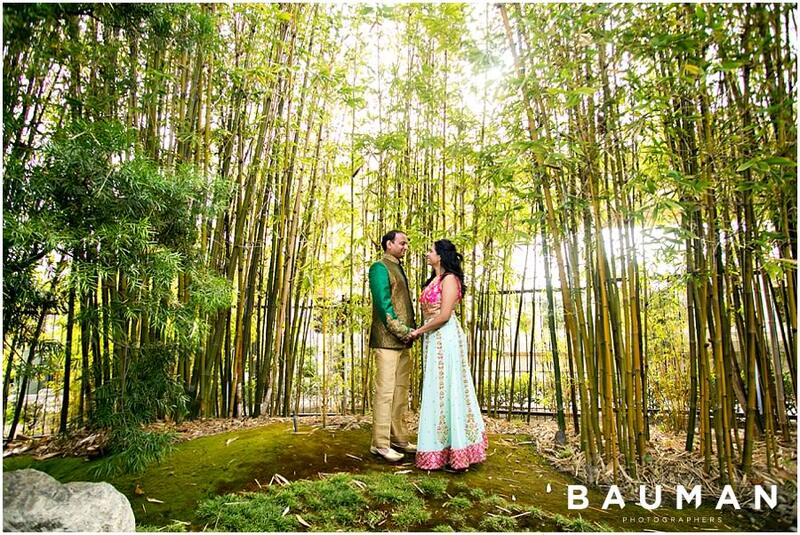 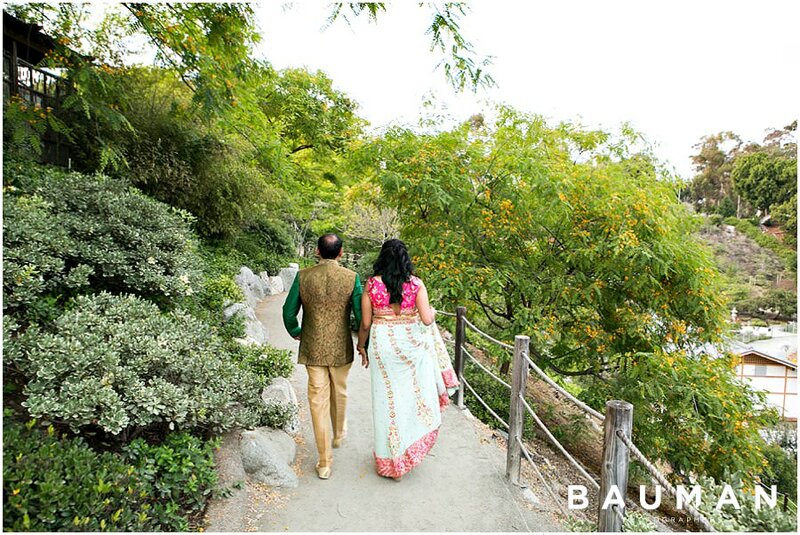 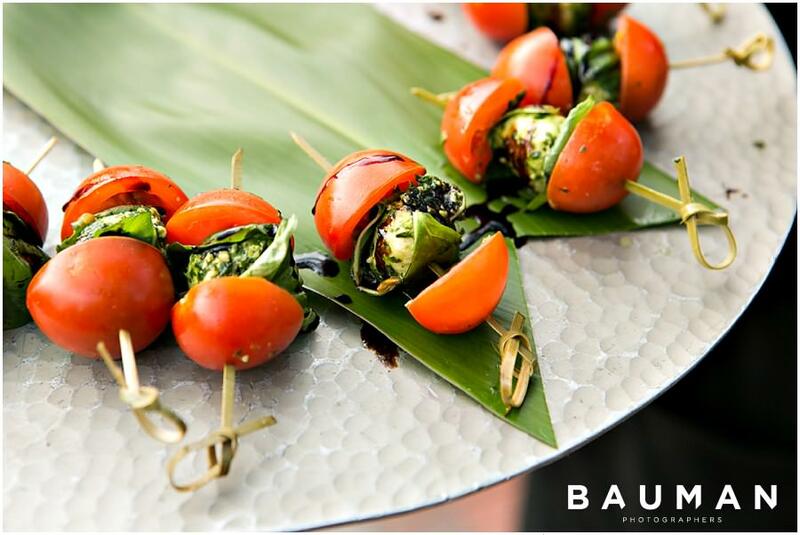 We were privileged to capture this special day in Pritha and Luve’s lives! 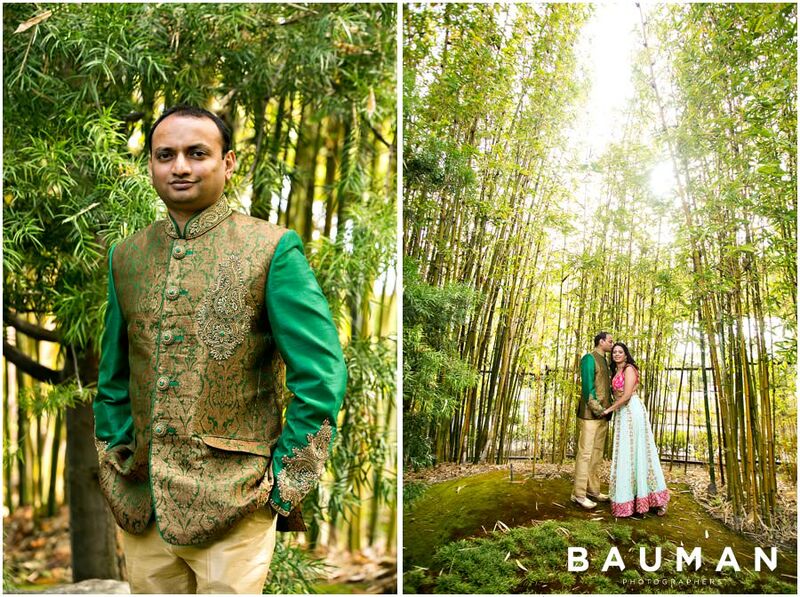 These romantic portraits in the forest make our hearts go pitter-patter… so magical!